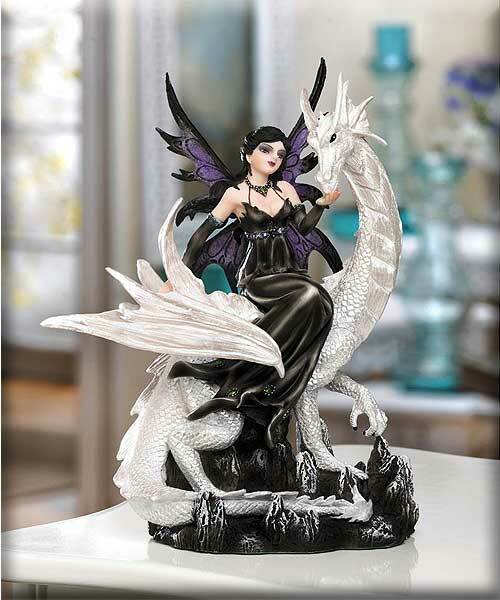 Stock# - 15269 Night Tide Fairy Figurine - A pearl white dragon with jet-black eyes carries his captivating fairy queen through her darkened kingdom. The figurine features gothic touches, dramatic purple and black wings, and a black dress with jeweled accents and matching jewelry. She presides over the shadowy hours with her faithful steed and stunning beauty. Felt lining on bottom. 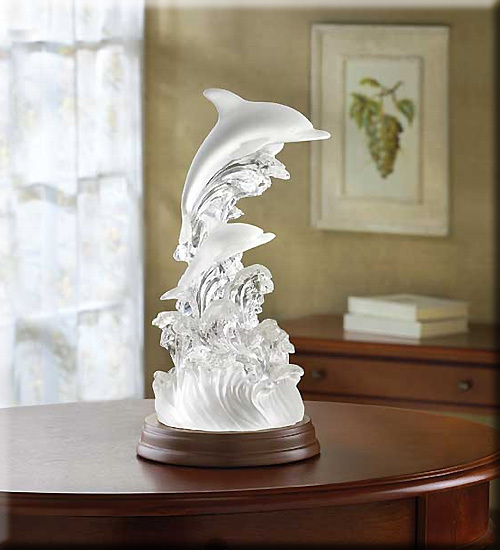 Stock# - 32270 Frosted Dolphins and Waves with Multicolor Light - This sculpture features two frosted dolphins on clear waves. The light inside gradually changes hue, creating a beautiful display of color and illumination. 5 1/2" diameter base. Uses 3 AA batteries, not included. 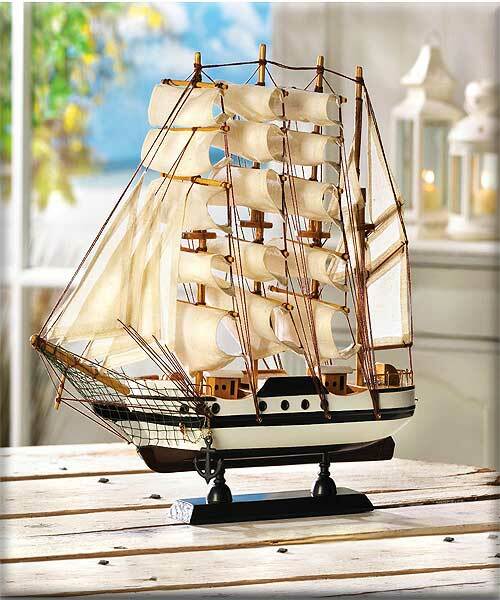 Stock# - 14751 Passat Ship Model - Let your imagination set sail as this handsome tall ship proudly crests your mantle or table! Exquisitely detailed model is stunningly authentic, from its billowing sails to its gleaming brass rails. Wood and cotton. 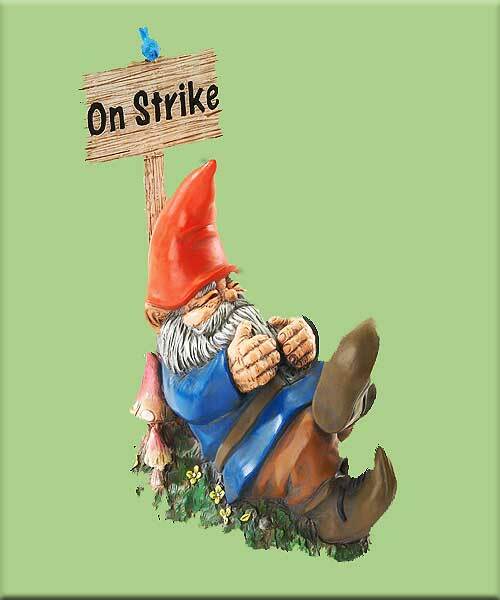 Stock# - 37095 On Strike' Sleeping Gnome - Cute Mr. Gnome stands up or lays down for his rights. A witty tribute to hardworking folk that's right at home whether gracing your garden, or decorating your office desk! Stone/poly resin blend. 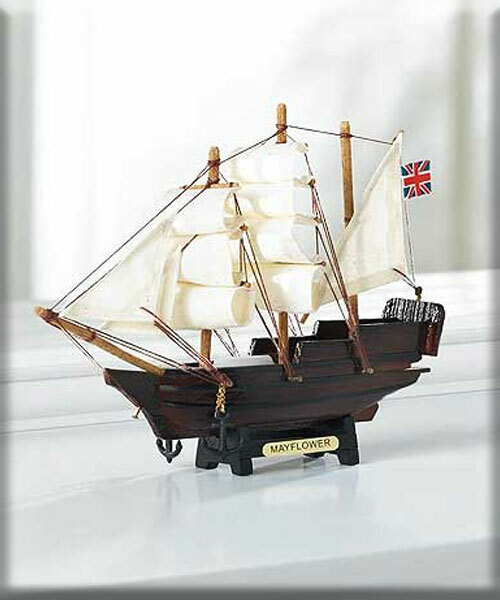 Stock# - 14750 Mini Mayflower Ship Model - Pay tribute to our nation s birth with this handsome historical figurine. The mighty Mayflower adds its classic image to complete your nautical or historical theme. Marvelously crafted with attention to every detail. Wood and cotton. 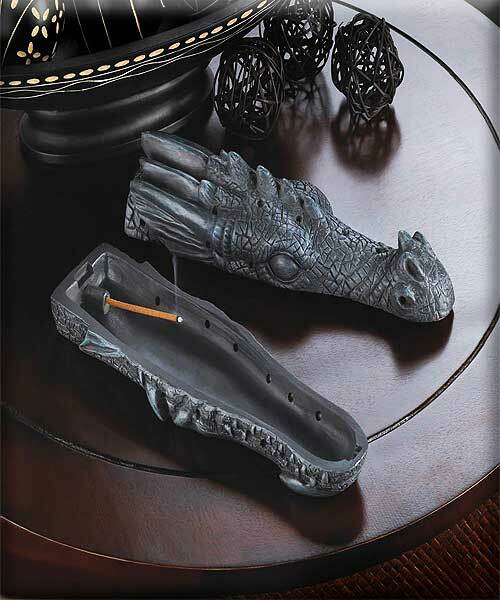 Stock# - 10015319 Dragon's Head Incense Holder - This fierce beast holds a secret! Lift the top of this dragon s finely detailed head to reveal an incense holder that will help you fill your room with magical aroma of your choice. When finished, replace the top to enjoy the dark allure of this mythic d�cor accent. 10 1/4" x 3 1/8" x 3 3/8" high. Poly resin. Incense stick not included.